John the Baptist proclaimed the coming Messiah in the Wilderness of Judea. The Gospel accounts point out that many people from Jerusalem and all Judea and the region about the Jordan came to be baptized. These were Jews who were being called to repent and confess their sins. 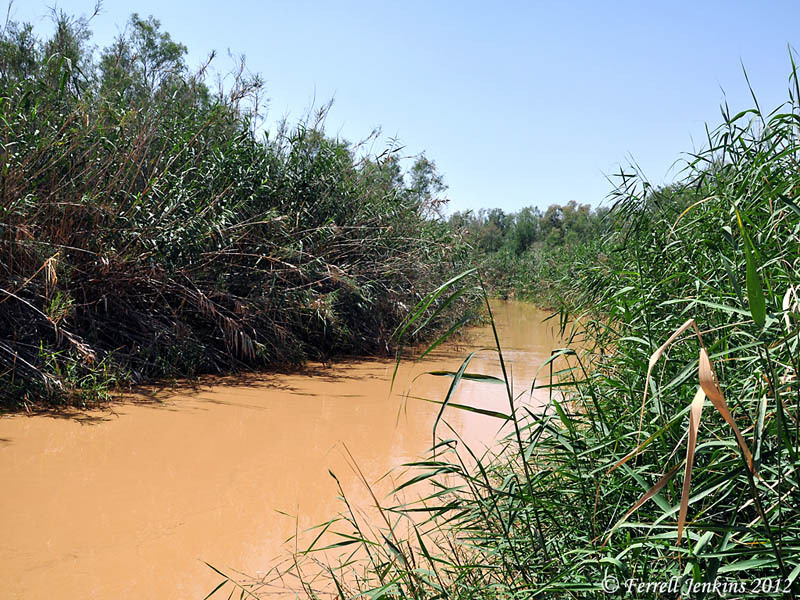 The photo shows a view of the River Jordan at the traditional site where John was baptizing. This photo was made in the spring of the year when the river shows the flow of mud as a result of the spring rains. Jordan River (view south) where John baptized. Photo by Ferrell Jenkins. This entry was posted in Bible Places, Bible Study, Israel, New Testament, Photography, Travel and tagged John the Baptist, Ministry of Jesus. Bookmark the permalink.